There’s a new nonprofit organization in town that seeks to connect Michigan’s entrepreneurs with a global network of mentors, service providers, and investors in order to help them grow. 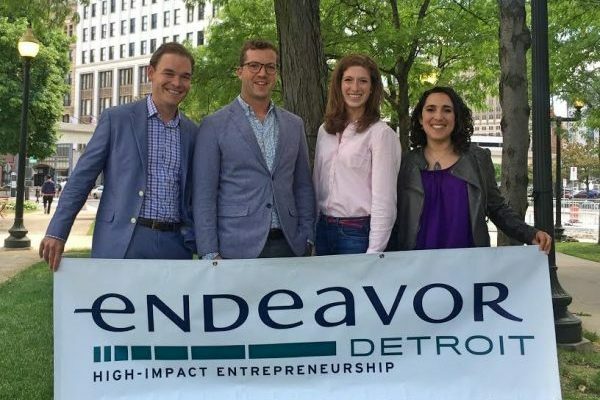 Endeavor Detroit set up shop in the Motor City 18 months ago with the goal of finding mid-stage startups with annual revenues between $2 million and $30 million that are poised to scale, and providing them with a suite of services and programs. Endeavor, headquartered in New York, was established in 1997 to promote job creation and economic growth in the developing world, primarily Latin America. 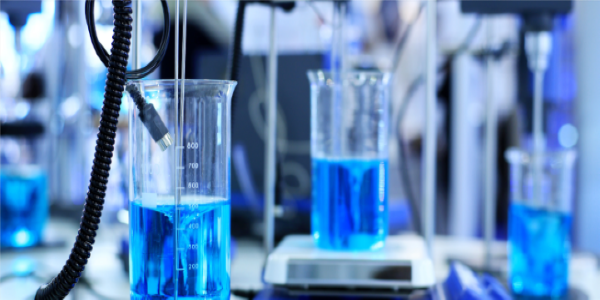 The organization’s “secret sauce” is its rigorous selection process, Thrubis said. Once Endeavor’s stakeholders identify a company that would be a good candidate for inclusion, that company is interviewed by a panel of local experts. The company makes its pitch for the first five minutes, then the panel spends the rest of the 45-minute interview lobbing questions. If the company passes this gauntlet, they go on to face an international selection panel, where the process repeats. Once the company passes that test, they are granted access to Endeavor’s international network of mentors; local board members include Dave Egner, who leads the Ralph Wilson Foundation; Cindy Pasky, CEO of Strategic Staffing Solutions; and Gerard Anderson, CEO of DTE Energy. The whole process can take up to a year, Thrubis said. In exchange for Endeavor membership, Thrubis said the startups pay “a small fee based on [their] revenue.” Since Endeavor is a nonprofit, there isn’t a specific percentage of revenue required, and member startups can make an additional donation on top of the initial fee if they feel the services provided are worth it, she said. Detroit is only the second Endeavor city in the United States. The organization was established with the idea that supporting entrepreneurs would create more jobs and generate more economic returns than other economic development strategies. Endeavor’s model was designed with developing markets in mind, but a few years ago, local movers and shakers reached out to the organization and made the case for a Detroit office. 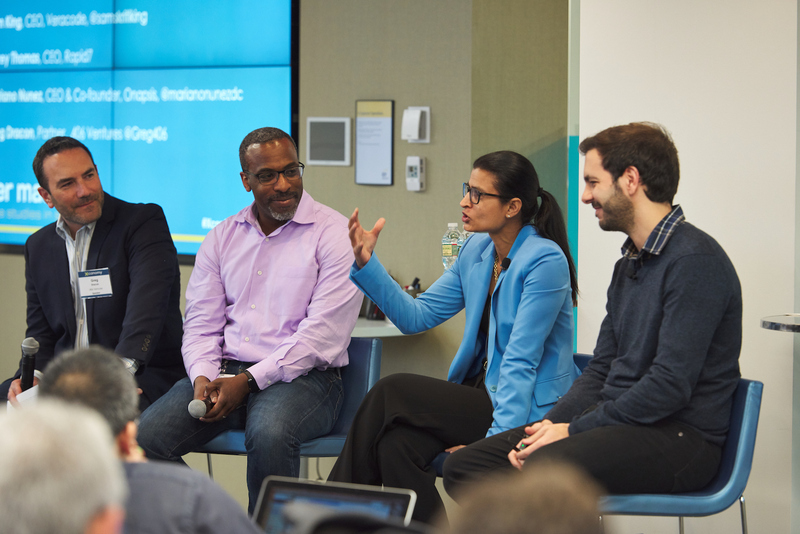 All Endeavor mentors work on a volunteer basis, and they try to “go deep” with the startups they work with, Thrubis said. Mentors also look at statewide policy issues that affect startups and try to work through them with member entrepreneurs. So far, four Detroit startups have been inducted into the Endeavor network: Algal Scientific, a Plymouth-based company developing algae-based chemicals to improve animal feed and human nutrition; Banza, the Detroit company making protein-heavy pasta from chickpea flour; Vectorform, a Royal Oak software development firm; and McClure’s Pickles, the Detroit maker of the best spicy Bloody Mary mix this side of Manhattan. 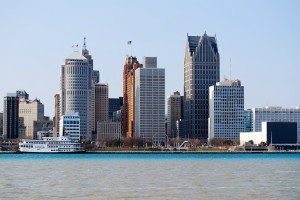 Thrubis said there’s no set number of startups Endeavor Detroit plans to work with each year—it depends more on who’s at an inflection point and ready for Endeavor’s brand of intense mentorship, she added—but it hopes to add two or three more portfolio companies before the end of 2016. Endeavor Detroit also keeps an eye on earlier stage startups that might not be ready for its services yet, but may be appropriate for potential future inclusion. Thrubis said those interested in following Endeavor Detroit’s progress should follow its Twitter page.